In a recent study, rats that munched on asparagus saw their blood pressure drop. 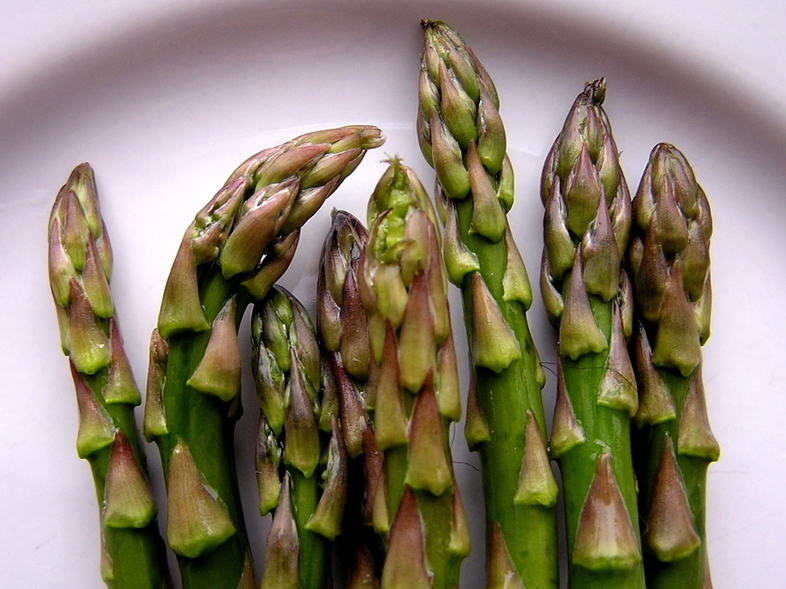 Here’s another reason to eat asparagus, in case you were looking for one. Researchers at the Kagawa Nutrition University in Japan fed a diet consisting of 5 percent asparagus to rats with high blood pressure. As they report in the Journal of Agricultural and Food Chemistry, published online on May 30, after 10 weeks, the rats on the asparagus diet had lower blood pressure than the ones fed a standard rat diet without asparagus. The rats on the asparagus diet also had less protein in their urine, a sign of a healthier kidney. And they had less activity of ACE, or angiotensin-converting enzyme. Drugs that reduce the activity of ACE are used to treat hypertension in humans. The Japanese researchers think a compound found in asparagus called 2″-hydroxynicotianamine is responsible for inhibiting ACE activity in the rats. There’s not a lot of literature on hydroxynicotianamine. It seems to be found in buckwheat sprouts, buckwheat leaves and buckwheat, where it also seems to be an ACE inhibitor. Of course, it’s far too soon to known whether 2″-hydroxynicotianamine has a similar effect on humans. But if it does, perhaps this could open new vistas in the treatment of hypertension. In fact, for the treatment of high blood pressure, this could be the dawning of the age of asparagus. This entry was posted in Vegetable and tagged Asparagus by admin. Bookmark the permalink.